DBS was founded in 1962 by Willie Stephenson, the only Englishman to train both Derby and Grand National winners, and Kenneth Oliver, a well-known Scottish based Auctioneer and National Hunt trainer, following an approach from Doncaster Metropolitan Borough Council (DMBC). However, Bloodstock Sales had been part of Doncaster for a very long time and, in fact, the St. Leger Festival Yearling Sales are the oldest Bloodstock Sales date in the United Kingdom. Tattersalls originally held Sales in Glasgow Paddocks at Doncaster until their Lease ran out in 1957 when they chose not to renew and concentrate their efforts in the South of England with the result that there were no sales for a period of five years. This was felt to be very detrimental to the Town and local businesses and in the early 1960's Albert Camidge, the Leader of DMBC, approached Willie Stephenson and asked him to consider restarting Sales using part of the Racecourse Stables. Mr Stephenson joined forces with Ken Oliver and they started the existing Doncaster Bloodstock Sales in May 1962 and reintroduced the St. Leger Yearling Sales in 1963 whilst a full programme of Sales Dates throughout the year were gradually implemented. Since then, DBS has grown from a small regional Company which specialised in servicing the needs of the commercial market place in Britain to its present day standing as a leading International Bloodstock Auctioneer with a worldwide reputation of offering value for money and a personal service that is second to none to their clients. Stephenson and Oliver were quick to forge a link with Irish Vendors and were particularly helped in the early days by the much respected Irish dealer, Jack White who became their first Irish Agent. The original partners were joined in 1964 by Harry Beeby, son of top trainer George Beeby and, in the ensuing years, were responsible for several innovations including sales of Shares and Nominations at Public Auction, Pre-Sales Show Championships as well as the highly successful Breeze-Up Sales at the start of the Flat Season. The partnership was further extended in 1969 to include Michael White, a nephew of noted Northern Trainers Sam and Charlie Hall. The organisation was formed into a Limited Company in 1976 to widen its base and ties were extended with Ireland when Jack White, vet/breeder Jack Powell and pinhooking king Tim Hyde became Directors whilst Michael Dale, who had spent time with agent John Bartholomew and trainer John Winter, also joined the Board. Henry Beeby joined the team in 1982 and in March 1989 he was also appointed a Director following stints with Coolmore, the Irish National Stud and Fasig-Tipton Company in Kentucky and New York. Harry Beeby succeeded Willie Stephenson as Chairman of DBS in 1988 whilst, in turn, Henry Beeby succeeded Harry as Managing Director in 1998. The DBS Board was assisted for some years by the respected Bloodstock Agents Johnny McKeever and John O'Byrne as well as leading Sales consignor John Osborne. In 2006, cousins Stuart Mactaggart and Jeremy Mactaggart were also appointed Directors. Stuart had been with DBS since 1990 following six years with trainer Nick Gaselee whilst Jeremy gained vital experience in Ireland, USA, Australia and the UK with the likes of Coolmore and Lanwades Studs before joining DBS in 1999. 10 years later Tim Kent was appointed to the DBS followed two years later by George Stanners and Derek Forrest. "Value. Service. Success". This has become the DBS slogan as they are the key words that sum up the ethos of the Company. DBS Auctioneers work to the highest standards and have conducted a number of Auctions around the World on an annual basis. These have included the Hong Kong International Sale on two occasions prompting Hong Kong Jockey Club Chief Executive Lawrence Wong to comment "DBS conducted the Hong Kong International Sales with thorough professionalism". DBS also launched the highly successful Auctions of Seniority Positions in Racecourse Betting Rings for the National Joint Pitch Council in 1998 whilst the DBS team are regularly seen in action as Guest Auctioneers in Ireland, Sweden, Trinidad, Italy, Qatar, South Africa etc. At their Doncaster base, DBS has built up a full programme of Sales catering to every taste and price range. The comprehensive Conditions of Sale which govern all their business are contained in the front of each catalogue. These ensure that buyers and sellers alike are fully protected with DBS acting as the honest broker between the two parties. The DBS team place a high value on their integrity and it is perhaps revealing that the Chief Executive of the British Thoroughbred Breeders' Association, Gavin Pritchard-Gordon was quoted as saying "selling or buying you get a great deal at Doncaster". Indeed, that stamp of quality is further endorsed as DBS is an active member of the Society of International Thoroughbred Auctioneers with Managing Director Henry Beeby chairing the body from 2009 to 2011. The DBS innovative "Guide for Buyers" booklet is a step by step guide to DBS Auctions and answers some of the questions often asked by new visitors to Doncaster. On the same theme DBS were an enthusiastic part of the group that produced the Bloodstock Industry Code of Practice with the Jockey Club in 2004 and sits on the BHA Code of Practice Review Committee. DBS has eleven sales a year in all categories of bloodstock, at all price ranges, at every time of year. It is a proud boast of the DBS team that whatever type of racehorse you seek, at whatever price, to win whatever race, they can be found at Doncaster. Regular sales featuring Flat and National Hunt Horses In and Out of Training are held in January, March, May, August and November whilst DBS catalogues also include Flat and National Hunt Breedingstock and an Open Yearling Sale in November. The innovative NH Breeze-Up Sales at Newbury finish the DBS year with a flourish whilst the NH Festivals Sales, also at Newbury, enjoy a vibrant trade in advance of the major NH meetings at Cheltenham, Punchestown and Aintree . These sales are interspersed by the three Flagship sales which are all market leaders in their own right. These start with the innovative Breeze-Up Sales in early April. This type of "Breeze-Up" sale was pioneered in Europe by DBS in 1977 and, after many years of hard work, the DBS Breeze-Up is firmly established as Europe's Leading Breeze-Up For Winners selling more two year old winners than any competitor every year whilst they provided Europe's First Classic Breezer when SPECIOSA won the Group 1 Stan James 1000 Guineas in May 2006. May sees DBS concentrate on another market leader in the Spring Sales which are the World's Premier National Hunt Sales. Every year, the very best jumpers, past and present, pass through the Doncaster Sales ring. This sale has been responsible for so many top-class winners. For instance, in total there have been twelve DBS winners of the World's Greatest Steeplechase, the Grand National whilst DBS chasers always perform well at the highest level - particularly in the Cheltenham Gold Cup. Between the Spring Sales and National Hunt Breedingstock Sales, DBS have held seven individual NH Auction World Records headed by 530,000 guineas for a NH Horse in Training which is also a world record for a male Horse in Training on the flat. The Premier Yearling Sales in late August is the first of the British and Irish Yearling Sales and is viewed as a serious source of quality by the Industry, regularly selling Group 1 winners, Royal Ascot winners and top two year olds. It is quickly followed by the St. Leger Festival Sales which are held in conjunction with the St. Leger Festival just across the road. On 6 July 2007, Goffs and DBS completed a landmark merger, forming a Bloodstock Auction House that aims to become Europe's Leading Bloodstock Auctioneers. In the move announced by Goffs Bloodstock Sales Chairman Eimear Mulhern and DBS Managing Director Henry Beeby, Goffs Bloodstock Sales and DBS joined up under the Robert J. Goff and Co plc. Banner with sales continuing in Ireland, Doncaster and Kempton in the UK. Goffs is Ireland's leading Bloodstock Sales Company and DBS is the second largest and fastest growing Thoroughbred Auction House in the UK. This move followed Goffs taking a major shareholding in the leading French Sales company Arqana. 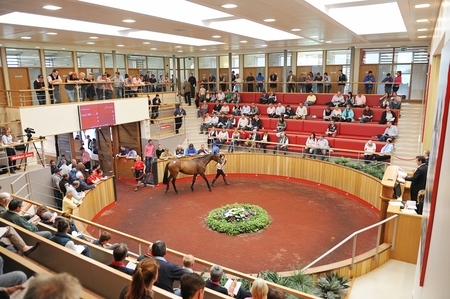 The combined entity offers an extensive programme of sales throughout the year, in Britain and Ireland, cataloguing nearly 10,000 horses each year and covering every sector of the bloodstock market with auctions conducted by a consistent team of world-class auctioneers and horsemen with unrivalled experience. Indeed the only month of the year without a Goffs or DBS sale is July. In the new structure, Henry Beeby, Managing Director of DBS became Group Chief Executive and Eimear Mulhern succeeded Oliver O'Reilly as Chairman of R.J. Goff & Co plc. The DBS board remains in place chaired by Harry Beeby and became a fully Executive board that reports into the parent Company. The existing teams in Kill and DBS (whose management will remain in Hawick) continue with the day to day running of each venue under the direction of Beeby who continues as Managing Director of DBS as well as CEO of Goffs. The final comment referring to the Sales Complex is particularly apt as DBS opened their new state of the art, custom built Sales Complex in March 2008 to huge acclaim. The dream of a purpose built, 500 stable sales venue finally became a reality after years of planning, negotiation and work. The new facility allows DBS to compete on the international stage and many have stated that the Complex is the most horse and people friendly around – very similar to comments regularly made about Goffs Kildare Paddocks in Ireland. 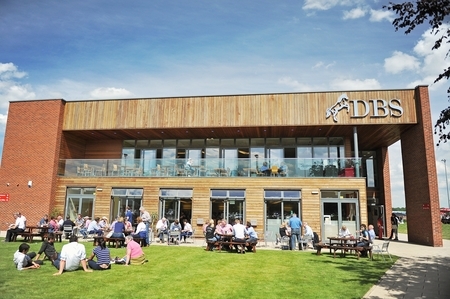 In June 2011, DBS opened an office in the South of England and Tim Kent is now based in Lambourn which enables DBS to have a greater interaction with clients in the area whilst helping to increase the number of customers who travel from the South of England to buy or sell at any of the Goffs or DBS sales. The DBS team continue to be the most proactive, welcoming group and work to the highest standards consistent with the ethos at every Goffs and DBS Sale. In an ever competitive and cynical world visitors to DBS will receive no warmer welcome and no straighter deal than at Doncaster Sales. Subscribe to our newsletter to recieve racing and sale news and important updates and notices right into your inbox.